Ryan Woltz's Edn (pronounced EDEN) Wall Garden wants to put fresh herbs and vegetables in everyone's kitchen. He'll do it with his appliances that automatically grow food – with the help of a smart phone app. The systems use hydroponics, keeping things simple for users. To grow a garden, simply plant the seed pods, fill the container with water (top it off when necessary), and add nutrients. The app tells you when to do garden maintenance. Edn Wall Garden is a three-tiered shelf with everything needed for hydroponic gardening included. The company also sells the Small Garden, a table top version. Each unit automatically adjusts itself for what kind of plant is growing in it. Users tell the Wall Garden what they planted and it takes care of the rest. The low profile and sleek design make it easy for anyone to add a Wall Garden to their kitchen. Having fresh herbs and vegetables in the kitchen makes for fresher dishes and healthier eating. At $399, a Wall Garden isn't cheap, but it can pay for itself considering the savings on food. Woltz wants his creation in everyone's kitchen and he's hoping a Shark will help make that a reality when he pitches the product in episode 817. I like fresh basil and I always have a plant on hand. Gardening is one of my favorite hobbies and I am in the process of planning a vegetable garden at my new home. Planting a garden in the kitchen is cool, too. It would be great to have fresh herbs at my fingertips when cooking. This is a good product for people in smaller homes and apartments, too. Because it hangs on the wall, the Wall Garden doesn't occupy a lot of space like pots would. I also like the accompanying app. There's ZERO guesswork with Edn. Non gardeners will find that appealing. 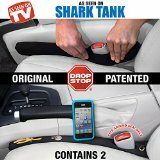 This is a product I'd like in my own home; for that reason, I'm in. Do Sharks Harvest a Deal? 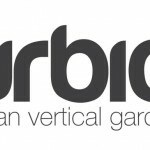 Back in season four, Lori invested in Urbio – another vertical gardening business. The difference between Urbio and Wall Garden is Urbio was just a vessel for holding plants; Edn's product is an entire, self-contained, gardening system. Lori “won” the Urbio investment after a battle with Robert and Kevin, so there was interest in the concept. We'll see if a more complete gardening product causes a similar battle. I think the Edn garden idea is wonderful and am even willing to pay sticker price. My friends agree. The sharks should have taken deal.